First, I want to address a very Canadian issue. The disappearance of human beings on a daily basis. Because a large part of my work involves focusing on cartels, trafficking rings, and other things that go bump in the night, this is pretty important to me. Recently, two things happened which bring me dangerously close to losing my composure. 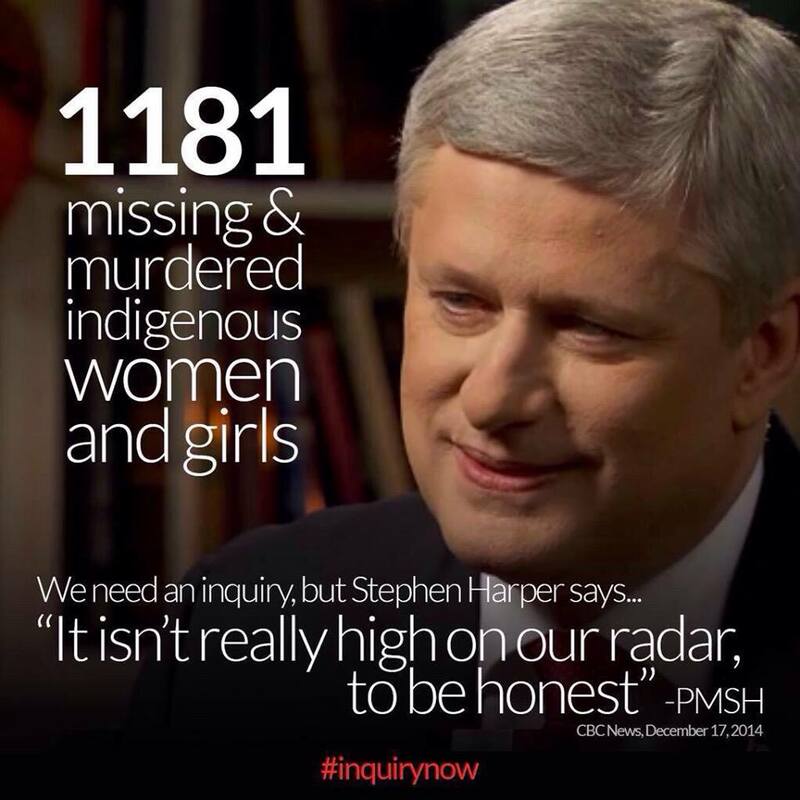 The first is that the Harper Government does not consider the disappearance of thousands of women and girls to be “high on their radar”. Well, you know, my radar is actually set to tracking the missing, but it catches all kinds of other things. Why can’t theirs? Surely they have substantially more funding and manpower than I do. And secondly, the Harper Government has promised 20 million dollars in funds in foreign aid to combat FGM and child marriage. I of all people would never deny a girl the ability to choose her own future or to protect her from permanent mutilation, but I find it very difficult to see this financial contribution as anything but throwing money at a problem for the purpose of looking good on the international scene. And it’s difficult for me to imagine that anyone on the international scene who has been observing Canada will disagree with my view. My morning today began with me reading about four migrant Mexican workers in the BC apple orchards who up and vanished after going into town to cash some cheques. They never returned, and only their identification is missing. The RCMP have of course been notified. I realize that a lot of the people who work in positions of authority have never actually walked down a dark alley at three in the morning in a dangerous part of town, and therefore can be expected to have some degree of ignorance of the realities of the more unpalatable aspects of society. But I’m not them. Twice now, the Harper Government’s various mouth pieces have claimed that if you are against their spying activities, that you must be with the pedophiles. Really. I am against these new bills for a lot of reasons – some of which are based off of the fact that experts in the intelligence community have even warned that the new measures puts Canada’s defences in even greater danger. Some of them are for basic human rights reasons. Many of them are personal. But I find it utterly ironic that a man who hid in a broomcloset and defended himself with makeshift spears when his life was in danger doesn’t feel that the innumberable women who do that on a daily basis don’t matter. Posted in Essays, Human Trafficking, Social Development.Tagged Canada, Conscious Media, Disenfranchised Youth.